I’m a word nerd. I’m quite addicted to Words with Friends. I’ve been known to steal restaurant placemats from my kids and play the word searches and word finds (under the guise of helping, of course). One of my favorite high school classes was Vocabulary for College – and not just because we got to say words like asinine, which the boys thought was hilarious. When I worked a desk job, I would buy myself those word-a-day calendars (and check Saturday and Sunday’s words before going home for the weekend). I love using Greek and Latin roots or my two years of high school Spanish to decipher unknown words. That’s why I was so excited to try out WordUp, the new vocabulary curriculum from Compass Classroom. I want to share my love of words with my kids and show them the benefits of understanding word origin. WordUp is entertaining, fast-paced video-based instruction in English words derived from Latin and Greek root words. It features Dwane Thomas, whom you may recognize from Visual Latin. Dwane is just the right amount of goofy for middle and high school students – funny enough to keep them laughing and paying attention, but not so silly that they roll their eyes and think he’s annoying. Megan says, “He’s not boring. He’s actually interesting.” And Josh said he’s funny. Josh is my witty kid, so those are both high compliments. Each video lesson lasts about 20 minutes and features 10 words derived from Greek roots and 10 from the corresponding Latin root, for a total of 20 words per lesson. We typically do one lesson per week, alternating days with spelling. We watch the first half one day and the second half on the next vocabulary day, which has proven to be a great pace for my kids. After watching the video, we use Compass Classroom’s flashcard sets on Quizlet to review what we’ve learned. One of the unique benefits of a good understanding of etymology, the origin of words, for my family is that it helps my dyslexic kids spell better. 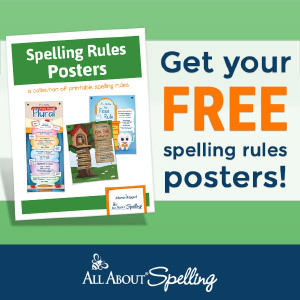 Understanding why words are spelled the way they are helps kids remember how to spell them. Knowing what a word means can help a student figure out how it’s spelled. For example, if a student hears the word aqueous and knows that aqua is the Latin word for water, he’s going to know that the beginning sound is spelled with an a, not an o. This kind of understanding is helpful for all students, but it can be a lifesaver for a dyslexic student who spells things phonetically. Phonics are helpful for learning to read, but not especially reliable for learning to spell. Let’s face it – entire books have been written for SAT vocabulary. Having a solid understanding of Greek and Latin root words can go a long way in helping a student figure out the meaning of unfamiliar words. Additionally, a course like WordUp, which teaches strong vocabulary in a fun and memorable way, helps reduce the need for too much sleuthing since it includes 20 vocabulary words along with the the root words. I have come to the conclusion that the eyes of today’s society are almost magnetically drawn to screens. Our pastor has been known to comment on it in church – Y’all are looking at the screens. I’m right here. WordUp capitalizes on kids’ fascination with screens. There are always little scenes flashing around behind Dwane as he explains the meanings of each vocabulary word. These scenes provide a memorable point of reference to help kids make a connection between the word and its meaning. We’ve been really impressed with Volume 1 and look forward to future installments. And, I’m not going to lie – having someone else take over the teaching for a few minutes a day provides a nice break for this homeschooling mama. And no moaning and groaning when I pull it out? That’s icing on the cake! Wondering if WordUp might be a good fit for your family? You can download a free lesson to see what you think. For a limited time, you can try WordUp for 30% off. Just use coupon code WUHS30 at checkout. It’s valid for 30% off digital downloads of WordUp, limit 1 use per customer. 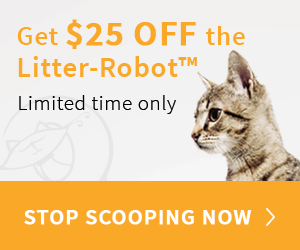 Offer expires November 27, 2014. Not only that, but you can save on all kinds of things at Compass Classroom starting next Friday! The Big Deal runs from Black Friday to Cyber Monday, so all of you (like me) who plan on making curriculum tweaks after the first of the year can take advantage of the fabulous deals! Put them on your Black Friday or Cyber Monday shopping list. So, what about you? Are you a word nerd? I use this for my Middle Schooler and he loves it. I ordered it on amazon. My high schooler needed something more rigorous so she uses membean.com . I went to Catholic School and it was mandatory to take Latin for 2 years.